Eyelid surgery: Could you benefit from it? At a certain age, people begin to think about ways they can look and feel younger. Plastic surgery might seem like a drastic method for looking young, again, but eyelid surgery isn’t your typical nip and tuck. In fact, when performed by a board certified ophthalmologist , eyelid surgery offers many cosmetic and health benefits. Also known as blepharoplasty, eyelid surgery is a short cosmetic procedure done to rearrange fat deposits and remove extra sagging skin around the upper and lower eyelids. The procedure takes about an hour, with an average recovery of 7-10 days. As people age, wrinkles and age show the most through the skin and areas around the eyes. With a simple upper or lower lid procedure, people achieve a more youthful look. Although cosmetic-based, blepharoplasty offers several benefits for patients of all ages. What does eyelid surgery accomplish? In addition to helping people look younger and more awake, blepharoplasty can help with visual impairment associated with upper lid droopiness, according to the American Academy of Ophthalmology . At times, people experience visual impairment and discomfort from drooping upper eyelids. This seemingly small issue is invariably annoying and can even be a hazard. Ophthalmologists confirm visual comfort and improvement are a common result of blepharoplasty in seniors. As with any surgery, good candidates include people who are generally healthy and free of infection or blood circulatory disorders. Potential candidates should also be non-smokers and have reasonable blood pressure levels. 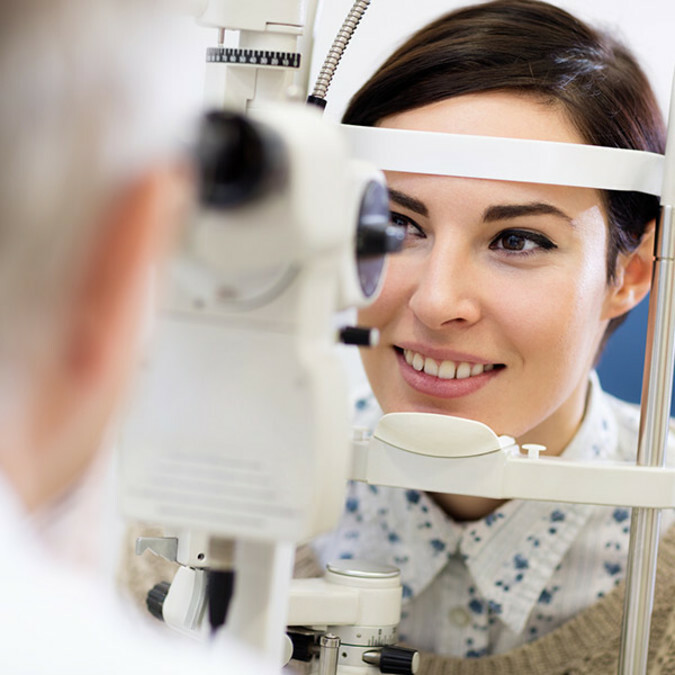 If you suffer from droopy eyelids that cause visual impairment or embarrassing sagging skin around your eyes, consider talking with your ophthalmologist. Why choose an ophthalmologist over a general plastic surgeon? Plastic surgeons perform blepharoplasty, but it’s best to consult an experienced specialist in eye surgeries , such as Jon L. Siems, M.D. Plastic surgeons usually focus on cosmetic outcome, and you can’t afford to spend time and money on a surgery that might cause you eye discomfort in the future. Instead, consult an ophthalmologist for specific treatment that’s geared toward your lifestyle, needs and eye health. If you want to find the best ways to benefit your eyes cosmetically and physically, an ophthalmologist will know the nuances to look for and discuss with you. Those who are interested in exploring options should contact Siems Advanced Lasik and Eyecare Center for a consultation, and find out if you are a good candidate for eyelid surgery.